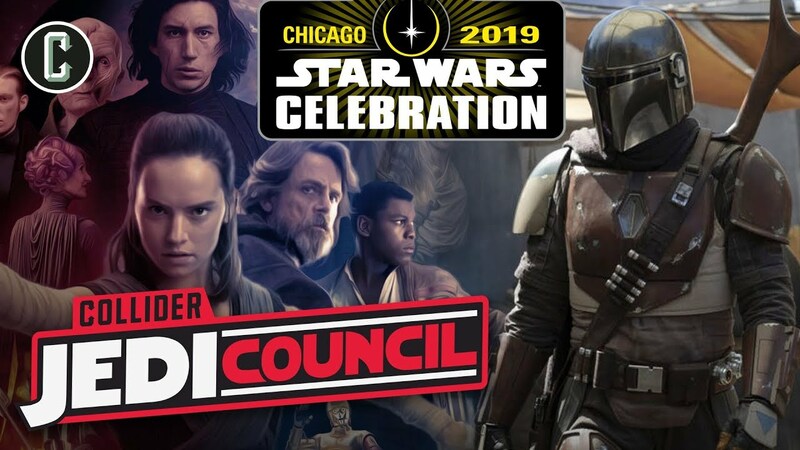 On today’s Collider Jedi Council, Kristian Harloff, Ken Napzok, and Dorina Arellano discuss these topics and answer the following questions: Avengers: Endgame breaks the Star Wars Fandango presale record in six hours; All the things we will and (probably) won’t see at Star Wars Celebration Chicago. Peter Serafinowicz reveals on Collider Live that he was replaced by Sam Witwer as the voice of Darth Maul on Solo: A Star Wars Story; Benioff and Weiss might cast Game of Thrones Liam Cunningham in a role in their new trilogy. Also they are ready for the backlash and George Lucas visited with them; The real world stuff behind Star Wars’ iconic sounds; New rumors about bounty hunters, setting and supporting characters for The Mandalorian. Also, the series might have already been renewed for Season 2 before Season 1 even airs; The panel reviews Vader: Dark Visions #2 and Star Wars #64; Twitter questions and more!